If you plan on studying abroad while in college, add this college essential Tango Travel Wallet - Orange to your college supplies now! The Tango Travel Wallet - Orange is a college must have. The Tango Travel Wallet - Orange helps you keep your vital travel items safe and in one place. The Tango Travel Wallet - Orange comes with a mesh pocket for boarding passes and itineraries, is perfectly sized for your passport, and has a zipper closure. 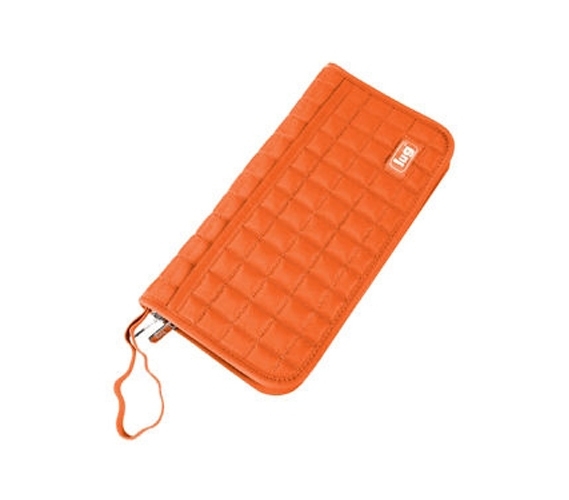 The Tango Travel Wallet - Orange is also great for dorm life. Even when you're not traveling, you'll need to keep your important cards and other items with you. The Tango Travel Wallet - Orange is a dorm and college accessory that you'll find useful for many situations.